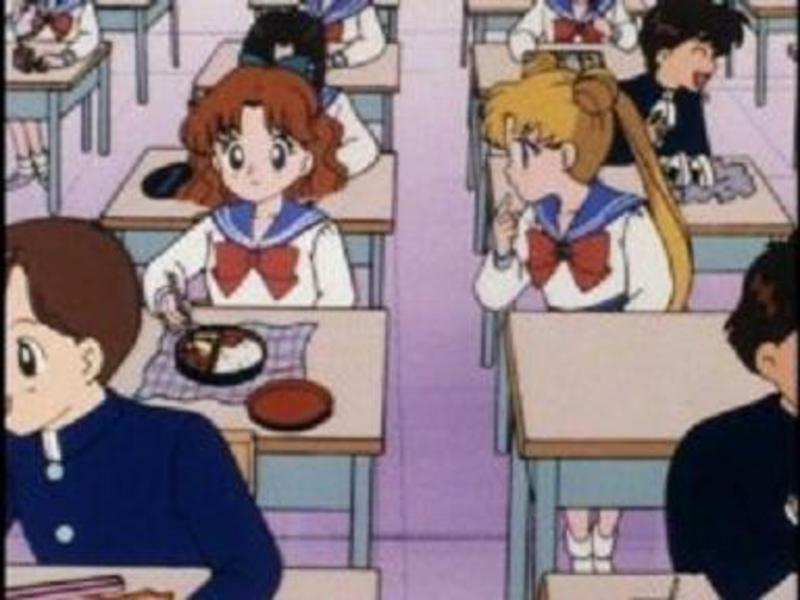 The bento box is a very popular meal in Japan, you have probably seen it in many anime (it is seen in almost every episode in Sailor Moon). It is really better to define it a way to pack take-away food rather than a meal. 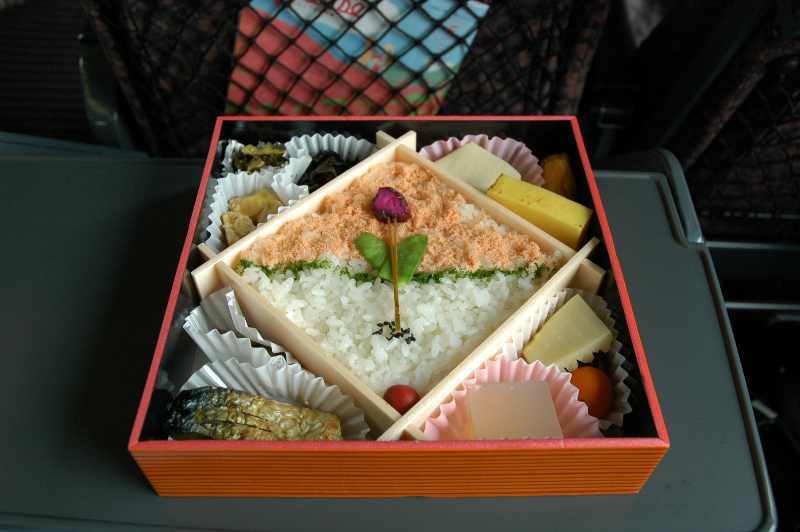 A "bento" is actually a box, a container, which can be disposable as well as made of ceramic or wood, and contains prepared food ready to be eaten; usually rice, some meat or fish, and vegetables. But its content can be almost anything, a classic example are the rice balls (onigiri). 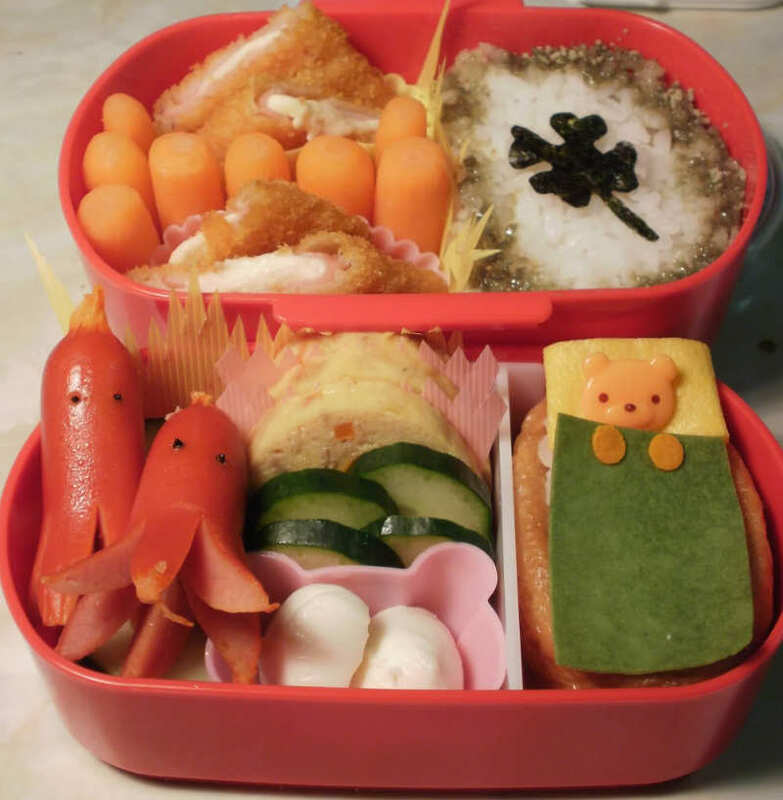 According to the common custom, the "housewives" in the early morning prepare and pack the bento box for lunch to give to their children who go to school and their husband who goes to work. Another occasion in which people usually eat a bento are picnics in parks. These scenes can also be seen in many anime and manga. Today you find bento ready to be eaten, including hashi, sold virtually everywhere:: at supermarkets, convenience stores, in little shops or vans specialized in selling bentos, inside station and on board of long distance trains (where they are called "ekiben"). 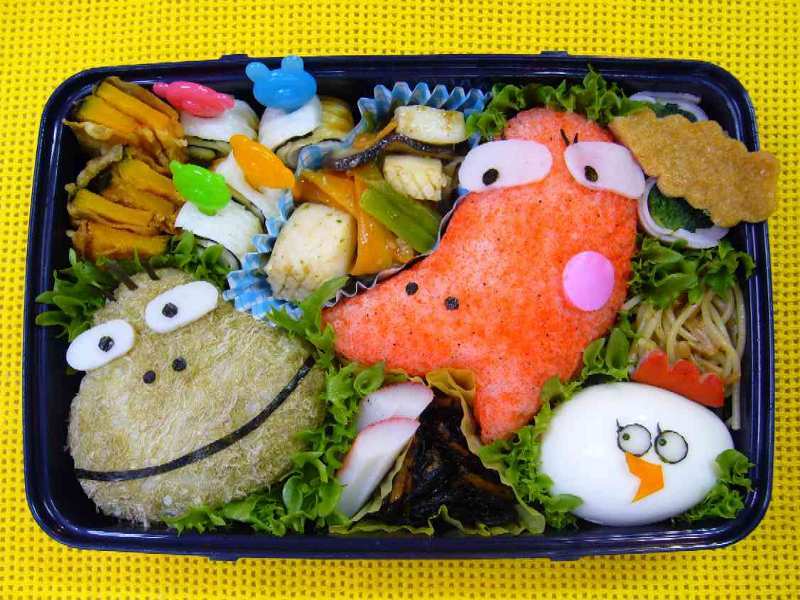 Packing a bento box, sometimes becomes almost an "art". There are shops or whole departments (for example those found inside the Tokyu Hands department stores) dedicated to selling "accessories" for bento, to improve the aesthetics, as particular boxes or napkins (furoshiki), molds to create various shapes with various foods and other various decorations. 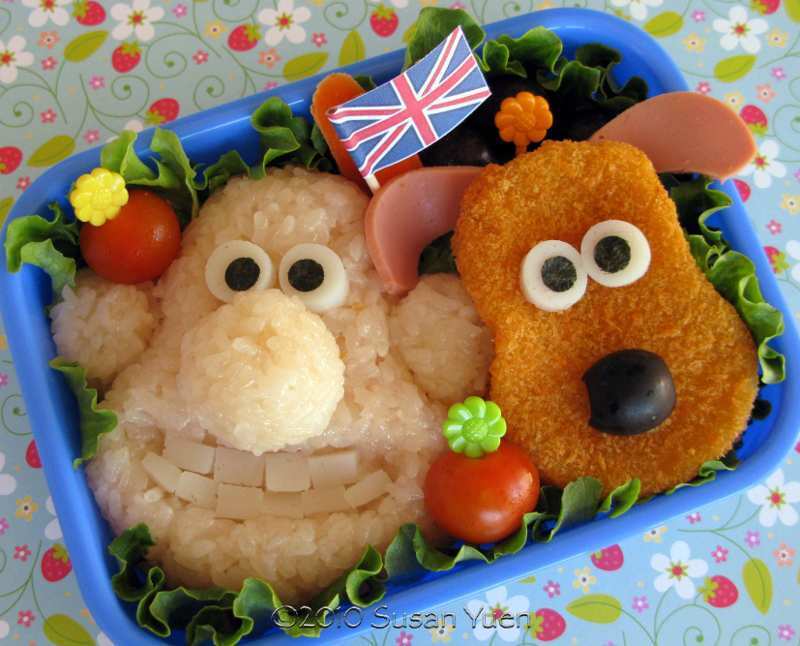 For example, it is fashionable to create "faces" of people with the layout of the food inside the bento box. 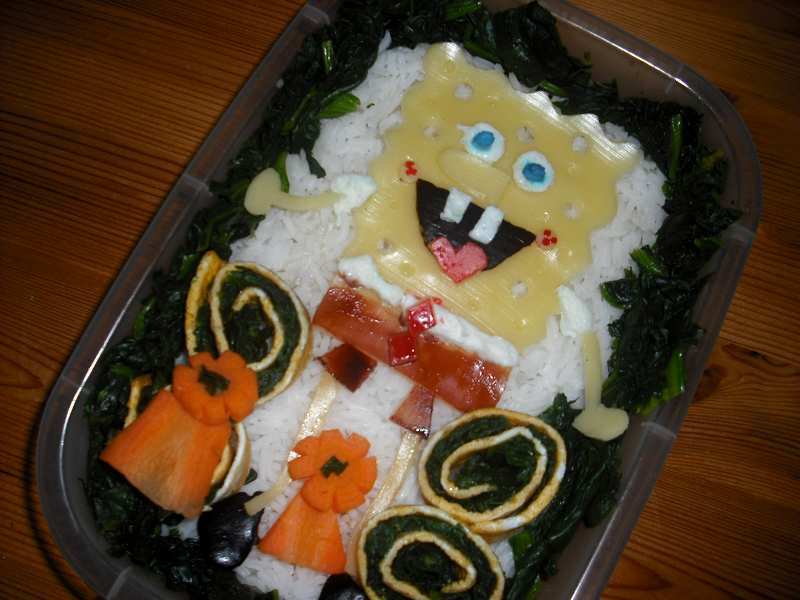 Here below some very particular bento pictures I have found on the Internet.